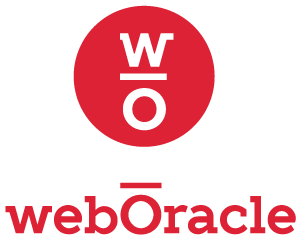 The marketing dream for your website to deliver a one-to-one relationship with your customers just took a huge leap forward, with WebOracle and the introduction of Larry, the Digital Analyst from Complexica. WebOracle are pleased to work with Complexica, to deliver the greatest improvement in online marketing for decades. There has not been a better time to leap ahead of your competitors in the online space and take advantage of technology that will shape the future of eCommerce. Contact us to discuss how we can move your business to a more simple and efficient model. Run all your websites through a single content management system that has been built from the ground up to support Larry, the Digital Analyst from Complexica. This Artificial Intelligence system has proven its ability to create deals in real time, that will deliver the best return from every customer with every transaction. The purpose of Larry is to leave no money on the table when dealing with customers. It achieves this by analysing a whole raft of inputs from your business, competitors, logistics and customers. It can then generate deals that win, and will generate profitability. Arrange a meeting to discuss how this technology is helping Australian businesses achieve a minimum 30% growth right now. The future of online is treating customers as individuals, not market segments. Empower your sales teams, and your online stores, with the information they need to build strong customer relationships into the future. This Artificial Intelligence system has proven its ability to create deals in real time, that will deliver the best return from every customer with every transaction. The purpose of Larry is to leave no money on the table when dealing with customers.